British Satellite Broadcasting (BSB) was a television company headquartered in London, which provided direct broadcast satellite television services to the United Kingdom. The company was merged with Sky Television plc. in November 1990 to form British Sky Broadcasting (BSkyB). 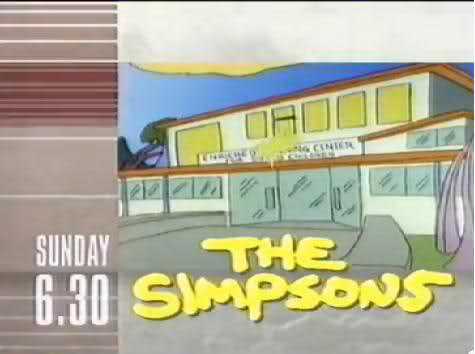 It started broadcasting on 25 March 1990. Used a satellite built by “United Satellite”, a consortium of British Aerospace, Marconi and GEC, with cost estimated at £24M per year. A supplementary charter was agreed in May 1983 which allowed the BBC to borrow up to £225M to cover the cost of the project as it was not allowed to call on public funds, nor use existing sources of revenue to fund the project. Within a year the consortium made it clear that the original launch date of 1986 was pushed back to 1988, while also asking the British government to allow them to tender out the building of the new satellite system, to help reduce cost. The project failed in May 1985 when the consortium concluded the cost set up and viewers were not justifiable. The BBC stated the costs were prohibitive because the government insisted that the BBC should pay for the costs of constructing and launching a dedicated satellite. The IBA convinced the Home Secretary to revive the DBS project but under different conditions, (broadly based on a report drawn up by John Jackson) by inviting private sector companies to apply for a new television franchise via satellite, to provide a commercial service on three of the five DBS in April 1986. One of the conditions imposed on applicants by the IBA was that they use a new, untried transmission standard, D-MAC. This standard was part of the European Community’s attempt to promote a high-definition television (HDTV) standard being developed by Philips and other European companies, HD-MAC. HD-MAC was still at the laboratory stage and was incompatible with previous standards: HD-MAC transmissions could not be received by existing television sets, which were based on PAL or SECAM standards in Europe. The conditions to use a High power (230 watts) Satellite was dropped, and no winner was precluded from buying a foreign satellite system. The IBA received five serious bids for the Direct Broadcast Satellite franchises. It also received a submission from The Children’s Channel and ITN to make sure their programmes are used on any successful bid. British Satellite Broadcasting: Consortium by Granada Television, Pearson, Virgin Group, ITN, Anglia Television and Amstrad. BSB UK LTD: Consortium by Carlton Communications, LWT, Saatchi and Saatchi, Dixons and Robert Fleming Merchant Bank. It planned a sport/news/business channel, entertainment channel, and Super Channel. Direct Broadcasting Limited: Consortium by British and Commonwealth shipping, Cambridge Electronic Industries, Electronics Rental Group, Rupert Murdoch’s News International and Sears. One channel was for families and children, a second channel for films, a 3rd channel would have broadcast Sky Channel. National Broadcasting Service: Consortium by, James Lee – former head of Goldcrest Films and Robert Holmes à Court’s Bell Group. Promised schedules for children, sport fans along with a news channel. SatUK Broadcasting: Created by Muir Sutherland and Jimmy Hartley, back by Australian financier Mr Alan Bond and Celtic Films. Proposed Free to air entertainment channel, £5 monthly film channel and a £2 monthly family channel. 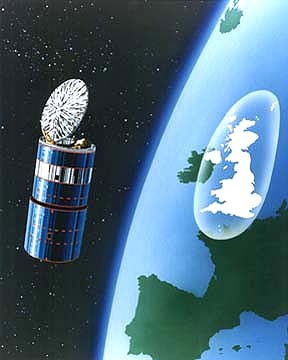 British Satellite Broadcasting won the fifteen-year franchise in December 1986 to operate the Direct Broadcasting by Satellite System over four rival bids with a licence to operate three channels. BSB believed 400’000 homes would be equipped during by its first year, but some doubts were cast whether this was possible. The Cable Authority welcomed the service, believing it would encourage more users, especially with its dedicated movie channel. Zigzag: kids and lifestyle channel, shared with Screen. Around the time of the licence award, Amstrad withdrew its backing as they believed it was not possible to sell a satellite dish for £250. Australian businessman Alan Bond joined the consortium along with Reed International, Chargeurs, Next plc and London Merchant Securities amongst others. BSB earmarked the bulk of the first round of financing for buying and launching two satellites (for redundancy and provision of further channels later) and planned a second round close to the commencement of broadcasting operations. It commissioned Hughes Aircraft to provide two high-powered satellites using launch vehicles from McDonnell Douglas. Both companies were American and had established reputations for reliability. Crucially, Hughes was the main contractor and offered a commercial space industry first, “in orbit delivery”, whereby BSB’s risk was reduced because payments were due after the satellites were launched and operational. 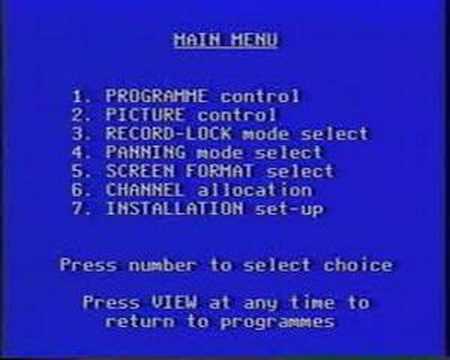 On 8 July 1988 rival tycoon Rupert Murdoch, having failed to gain regulatory approval for his own satellite service, and failing to become part of the BSB consortium announced that his pan-European television station, Sky Channel, would be relaunched as a four channel UK-based service called Sky Television, using the Astra system and broadcast in PAL with analogue sound. BSB had been aware of the impending launch of Astra when it submitted its proposal to the IBA in 1986 but had discounted it. Lazard Brothers, the Pearson subsidiary responsible for BSB’s first fundraising memorandum, reportedly regarded Astra as technology-led rather than programming-led and, therefore, an unlikely threat. The stage was set for a dramatic confrontation. BSB, anticipated as the UK’s only satellite service, was faced with an aggressive drive by Murdoch’s Sky to be the first service to launch. 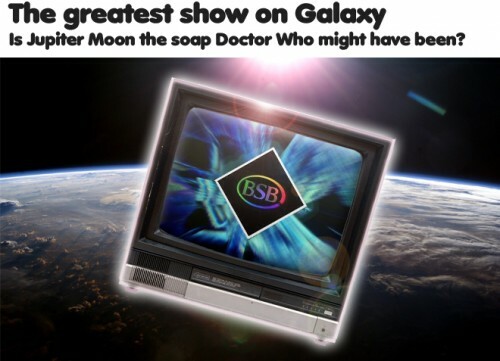 As Britain’s official satellite television provider, BSB had high hopes, as the company planned to provide a mixture of highbrow programming and popular entertainment, from arts and opera to blockbuster movies and music videos. 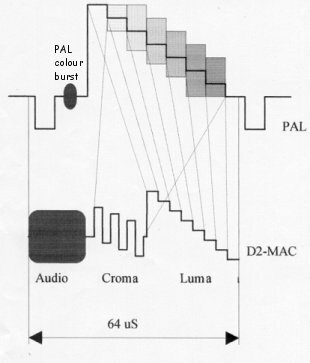 The service would also be technically superior, broadcasting in the D-MAC (Multiplexed Analogue Components type D) system dictated by European Union regulations with potentially superior picture sharpness, digital stereo sound and the potential to show widescreen programming, rather than the existing PAL system. 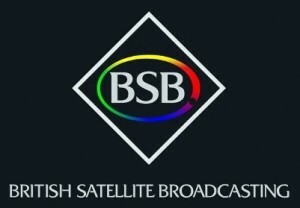 BSB criticised Sky’s proposals, claiming that the PAL pictures would be too degraded by satellite transmission and that in any case, BSB would broadcast superior programming. SES had no regulatory permission to broadcast, had plans (initially) for only one satellite with no backup and the European satellite launch vehicle Ariane suffered repeated failures. However, SES used the resulting delay time to re-engineer the satellite to reduce the dish size needed which would otherwise have been larger than 60 cm (24″). To distance itself from Sky and its dish antennas, BSB announced a new type of flat-plate satellite antenna called a “Squarial” (i.e., “square aerial”). The illustrative model Squarial shown to the press was a dummy and BSB commissioned a working version which was under 45 cm (18″) wide. A conventional dish of the same diameter was also available. The company had serious technical problems with the development of ITT’s D-MAC silicon chips needed for its MAC receivers. BSB was still hoping to launch that September 1989, but eventually had to admit that the launch would be delayed. During the summer, in a bid to gain more viewers BSB/BBC prepared a bid for a four-year deal for the rights to broadcast top league football, thus outbidding ITV £44m offer; BSB had also committed about £400 million to tying up Paramount, Universal, Columbia, and MGM/United Artists, with total up-front payments of about £85 million. These expenditures and commitments were budget-breakers because BSB had less money left for its other two channels than the BBC or ITV had for one. BSB’s costs had started to rocket, reaching £354million, while Chief Executive Anthony Goodings denied that BSB had gone over budget and would require more than the planned £625m it required to operate up to 1993. In December 1988, Virgin pulled out of the BSB consortium, ostensibly because it was going private again. Virgin had also become increasingly concerned about BSB’s mounting costs. The film-rights battle proved to be the final straw for Virgin, since it would necessitate a “supplementary first round” of financing of £131 million in January 1989 in addition to the initial £222.5 million. After unsuccessfully offering its stake in BSB to the remaining founders, Virgin sold it to Bond Corporation, already BSB’s largest shareholder, for a nominal profit. Despite the delayed launch, BSB continued to invest heavily in marketing in 1989 to minimize the effects of Sky’s timing advantage. 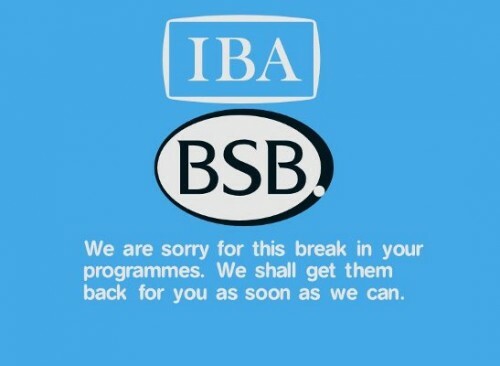 BSB also received a needed boost in June 1989 when they won the franchises for the two remaining British high-powered DBS channels; beating six other bidders when the BBC dropped all plans for use of the allocated channels. BSB revised its line-up to include separate channels for films, sports, pop music, general entertainment and living/current affairs. Unfortunately, this increased the size of the dishes which the public had to purchase from 25 centimetres to 35–40 centimetres; subsidies from BSB helped maintain retail prices at £250. BSB launched its service on 26 March 1990, with the slogan It’s Smart to be Square. The launch, six months late, was 14 months after Sky’s launch. BSB were due to start broadcasting in September 1989 but were delayed by problems with the design and manufacturing of its square receiver and because BSB wanted to avoid Sky’s experience of Sky launching when most shops had no equipment to sell. Its D-MAC receivers were more expensive than Sky’s PAL equivalents and incompatible with them. 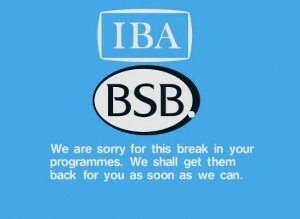 BSB claimed to have around 750,000 subscriptions while Sky had extended its reach into more than 1.5 million homes. It was believed both companies could break even if subscriptions reached three million households, with most analysts expecting this to be reached in 1992. The Movie Channel began in 1990, BSB signed an exclusive first-run deal with UIP Pay TV (which distributed Paramount, Universal and MGM/UA releases). The channel was available on Marcopolo 1. One of its first film premieres was the James Bond film, The Living Daylights, starring Timothy Dalton. In 1990, BSB and Sky Television suffered heavy losses and merged, operating as the newly formed British Sky Broadcasting. The Movie Channel, along with The Sports Channel, remained on the air, keeping its name. The Sports Channel survived BSB’s merger with Sky Television to become one of the five channels operated by the consolidated British Sky Broadcasting. The Sports Channel was renamed Sky Sports on 20 April 1991 and began broadcasting to Sky viewers via the newly launched Astra 1B satellite on that date, alongside its existing transmissions on BSB’s Marcopolo satellite. The channel was sold as one of the major draws of the Sky system and initially aired sports such as rugby and golf in 1991, before acquiring rights to German and Italian league football in 1991 (both carried over from The Sports Channel). 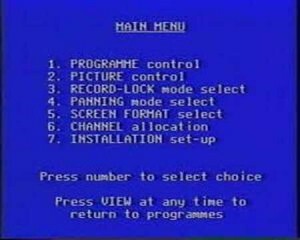 The channel was initially encrypted but broadcast Free To View, requiring an analogue VideoCrypt decoder, though no paid subscription, to be viewed. Since VideoCrypt decoders were only officially available within the UK, this measure was intended to prevent viewing of the service outside the UK and Ireland. Galaxy was one of the five channels run by British Satellite Broadcasting (BSB) and based at its Battersea Studios in the Marco Polo House Building. In its short life, Galaxy broadcast a mix of American imports and homegrown programmes, such as the short-lived soap opera set in space, Jupiter Moon, and the magazine show 31 West, which got its name from the actual placing of the Marcopolo Satellite at 31 degrees west. The station also transmitted repeats from the BBC library – Doctor Who, Secret Army, Grange Hill, Steptoe and Son, Till Death Us Do Part, Are You Being Served?, Dad’s Army and Porridge. American series broadcast on ‘Galaxy’ included The Outer Limits, China Beach and Murphy Brown. 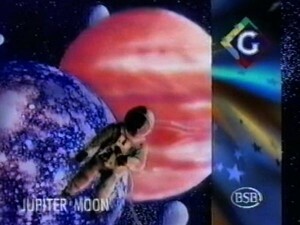 The station also broadcast children’s programmes under the strand ‘Galaxy Club’, which featured homegrown programming, mixed with imported cartoons and series such as the cartoons Denver, the Last Dinosaur, Spider-Man, Teenage Mutant Hero Turtles, and Underdog. Programmes specially made for the channel included ‘Cool Cube’ and ‘The Galaxy Club Show’. This channel featured concerts from artists including the Inspiral Carpets, Belinda Carlisle, Jason Donovan, EMF and Phil Collins. Speakeasy featured Jazz with Rock music a feature of Raw Power. Power Up was the Power Station’s Breakfast Show hosted by Chris Evans, and Boy George presented a weekly three-hour chat show Blue Radio. Programmes ran until 2 am with shows such as The Power Club, The Power Hour (a top 10 show, for example albums), Krush Rap, Rage where DJ Elayne presented funky rap, soul, acid house and funk, The Chart of Charts a two-hour chart pick with indie, dance, metal and US music, live concerts (such as Jerry Lee Lewis), Power Haus a ‘headbangers’ heaven’. In November 1990, British Satellite Broadcasting and Sky Television merged. At first, the Power Station gained a “British Sky Broadcasting” suffix on its logo. The Power Station was closed down at 4 am on 8 April 1991 as it was decided that the American MTV would be used as the music channel on BSkyB’s Astra satellite service. “All Together Now” by The Farm is the last music video to be played at 03:56 and two hours later, Channel 4 for BSB viewers became Sky Movies at 05:59, a subscription-based movie channel. It was given free to viewers of The Power Station, if they also subscribed to The Movie Channel, for the month of April 1991, after this channel ceased transmission. The Now channel was originally designed to be a live 24 hours news channel, with the majority of the content provided by ITN. Between the award of the franchise and the launch the channel, its remit was changed to have lifestyle programmes in the day and current affairs shows in the evenings. The channel was available on Marcopolo 1 11.93846. The channel was promoted under the slogan “The Channel For Living”. 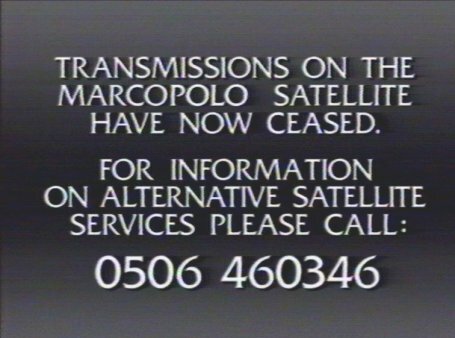 Now was broadcast throughout BSB’s short spell on air from March to December 1990 on Marcopolo satellites. 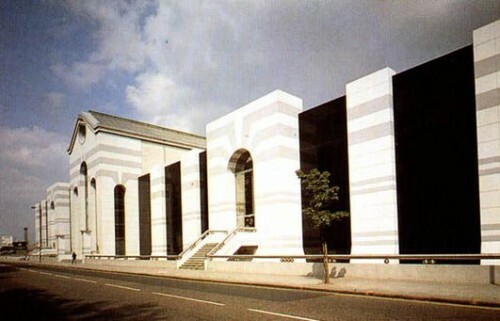 In November 1990, BSB merged with Sky to form British Sky Broadcasting (BSkyB). BSkyB decided to streamline the channels available on both services. Now was replaced with Sky News, which Sky Television had broadcast on the Astra 1A satellite. Now ceased broadcasting on Saturday 1 December 1990 at 1 am. The ending of Now was faded into the clock of Sky News, and the newsreader welcomed those watching on the Marcopolo satellite. As there were still programmes yet to be shown on Now, BSkyB initially broadcast Arts programmes intended for “Now” on weekends, as Sky Arts opted out of the Sky News service on the Marcopolo satellite. Once all shows had been broadcast, Sky Arts closed. Sky’s head start over BSB proved that the PAL system would give adequate picture quality and that many viewers would be happy to watch Sky’s more populist output as opposed to waiting for the promised quality programming pledged by BSB. Sky had also launched their multi-channel service from studios at an industrial estate in Isleworth, west London with a 10-year lease on SES transponders for an estimated £50 million without backup. BSB, on the other hand, would operate from more expensive headquarters at Marco Polo House in Battersea, south London with construction and launch of its own satellites costing an estimated £200 million. 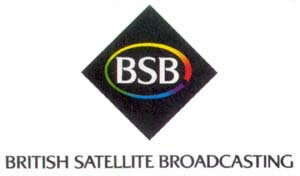 When BSB finally went on air in March 1990, 13 months after Sky, the company’s technical problems were resolved and its programming was critically acclaimed. However, its D-MAC receivers were more expensive than Sky’s PAL equivalents and incompatible with them. In October 1990, an enterprising manufacturer came up with a dual satellite dish that could be used to receive both Sky and BSB services, although separate receivers would still be required – the following month this technology became effectively obsolete. Both companies had begun to struggle with the burden of huge losses, rapidly increasing debts and ongoing start-up costs. In November 1990, a 50:50 merger was announced to form a single company, operating as British Sky Broadcasting (BSkyB), marketed as Sky. The merger may have saved Sky financially as it had very few major advertisers at the time, so acquiring BSB’s healthier advertising contracts and equipment helped to solve the company’s problems. After the merger BSkyB had no use for the Marco Polo satellites, the company used the Astra system, which was not subject to IBA regulation, the Marcopolo satellites were withdrawn and eventually sold (Marcopolo I in December 1993 to NSAB of Sweden and Marcopolo II in July 1992 to Telenor of Norway). Sky News began broadcasting services to Scandinavia from the Thor satellites. NSAB operated Marcopolo I (as Sirius 1) until successfully sending it to a safe disposal orbit in 2003 as it reached the normal end of its operational life when fuel ran out. Marcopolo II was operated (as Thor 1) until 2002 and disposed of successfully. After the merger, BSB DMAC receivers were sold off cheaply and some enthusiasts modified them to allow reception of D2MAC services available on other satellites. BSB receivers, Ferguson in particular, could be modified by replacing a microprocessor. Upgrade kits from companies such as Trac Satellite allowed retuning whilst other kits allowed fully working menu systems and decoding of ‘soft’ encrypted channels, although this required the receiver to have one of the later MAC chipsets. Some kits even included smart card readers and full D2MAC decoding capability. The Squarial was a satellite antenna used for reception of the now defunct British Satellite Broadcasting (BSB) television service. The Squarial was a flat plate satellite antenna, built to be unobtrusive and unique. 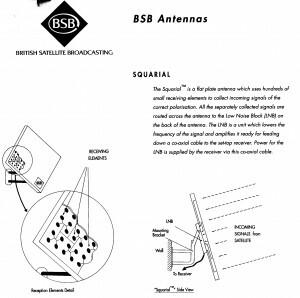 BSB were counting on the form factor of the antenna to clearly differentiate themselves from their competitors at the time. At the time of development, satellite installations usually required an 80 cm dish in order to receive a clear signal from the transmitting satellite. 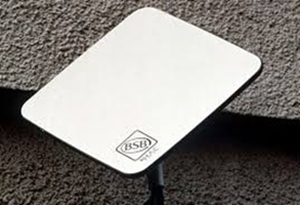 The smaller antenna was BSB’s unique selling point and was heavily advertised in order to attract customers to their service. The Squarial was launched at a high profile event in MarcoPolo house, BSB’s headquarters. The media were invited to a demonstration to see how much better MAC pictures could be than PAL. But MAC took a back seat when BSB unveiled the mock-up Squarial, to replace the dish aerials usually needed for satellite reception. The Squarial was a surprise to everyone, including the four companies which had signed to manufacture the receivers which would have to work with the new aerial. The Squarial deal, with British company Fortel, had been struck only hours before the London event. BSB was itself surprised at the press reaction. Press and TV crews were in such palaver to report the news that they forgot to ask if it worked. It did not, ll that existed was a wood-and-plastic dummy. Believing that someone would be able to make the Squarial work as well as a much larger dish, BSB built a whole advertising campaign on the Squarial. STC in Paignton was the first company to make a British Squarial. These were a little bigger, 38 cm across, to provide adequate reception throughout the UK, and more expensive than a dish. Due to production delays and limited availability of the STC squarial and to save face at launch, BSB sourced already available Squarials from Matsushita in Japan who were producing them in quantity for the Japanese market, industry rumours at the time of launch suggested that BSB were buying in the squarials from Matsushita for several hundred pounds each and heavily subsidising the cost to the 4 manufacturers of DMAC receiver. The Matsushita squarial was of slightly better build quality compared to the STC design and was used by Ferguson, Philips and Tatung while ITT-Nokia supplied the STC squarial. However, all offered the 30 cm traditional mini dish for a slightly lower price (several dish manufacturers were used including Lenson Heath and Channel Master). Technology-wise, the Squarial pioneered a system of layered circuitry, effectively thin sheets of plastic embedded with the conductive reception nodes. Three of these sheets were stacked upon each other, padded with polystyrene layers to add rigidity to the unit. This is now commonly known as a ‘phased array’ setup. All this was engineered into a 38 cm wide plastic body, presented in white and adorned with the BSB logo at the bottom. The low-noise block converter (LNB) was based in the centre, behind the layers, and contained a simple reception unit in line with other satellite antennae of the time. It was manufactured by Matsushita and rated as a 10 GHz standard unit. The Squarial’s small size was possible thanks to the high power of the two Marcopolo DBS satellites, which simulcast the same channels on the same frequencies. The broadcast power was 59dBW, with a 0.05 degree accuracy. Manufacturers of the DMAC receivers used with the Squarial included Ferguson, Phillips, Nokia and Tatung. The Squarial was a highly specified unit, designed specifically for operation on the Marco Polo satellites’ frequency range. As such the LNB can only tune a limited range of frequencies, and when utilised in modern circumstances the frequency is subsequently out of phase by around 100 MHz. Some owners modified the squarial to operate with the Thor satellite system (formerly BSB’s own satellites, Marcopolo) after the decline of BSB. This was due in large part to the highly discounted price of the unit during the final months of BSB’s existence. D2MAC programmes could be picked up from the Scandinavian satellites during the early 1990s and viewed using modified receivers. Once transmissions ceased from these satellites, Squarials could be used to receive broadcasts from the French terrestrial relay satellites at 5.0°W. 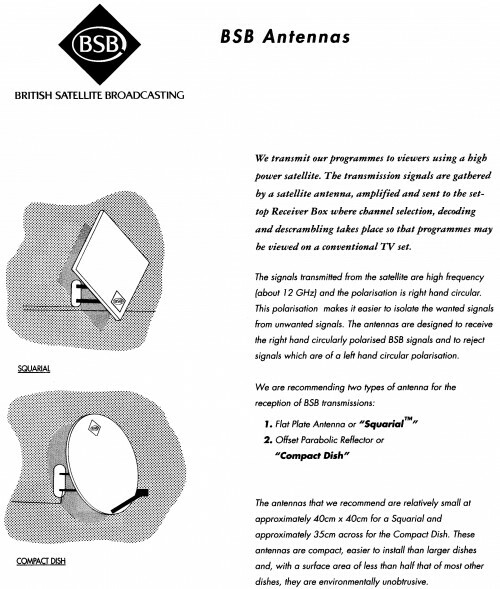 BSB’s alternative dishes have also been used successfully to tune into modern broadcast transmissions, whilst testing has been limited, analogue transmissions from the Astra and Hotbird satellites are reported to have been tuned. BSB placed the Squarial at the heart of its advertising campaign, using the diamond shape throughout all of its channel logos and on-screen presentation. 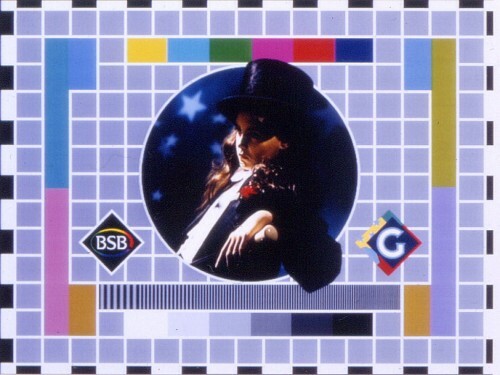 This square/diamond image extended down to BSB’s corporate logo and even printed and televisual advertising mediums. This led to the company’s slogan (used throughout the company’s existence) “It’s smart to be square”. 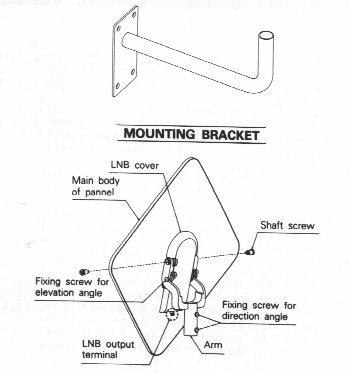 The unique appearance was a design first for satellite antennae, its flat plate measured only a few millimetres thick and the LNB unit protruded another 3 cm from the rear. It was built to a very high standard, featuring good quality plastics, weather-resistant coatings and stainless steel mounting arm. Compared with the Amstrad setups offered by SKY — made from cheap metal — the Squarial offered a much more attractive setup. BSB offered two alternatives to the squarial, the cheaper more conventional looking mini-dish format and the rounded-rectangle format dish. The first revision was in the shape of a vertical ellipse of roughly 30 cm in diameter. The design employed a short LNB arm with a ‘spike’ design LNB operating at a frequency of 10 GHz. Essentially this design could be considered the forerunner to BSkyB’s minidish. The second revision took on the appearance of a perfectly circular dish (around 25 cm in diameter), using a standard LNB at 10 GHz. In essence, both function like a normal satellite dish only scaled down. BSB, Squarials and all that Information on BSB by Colin McCormick. The site also has information on Betamax and Hifi. 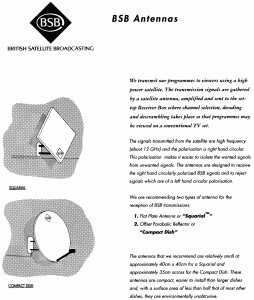 British Satellite Broadcasting: the full responsibility Page about the failure of BSB at Terra Media. 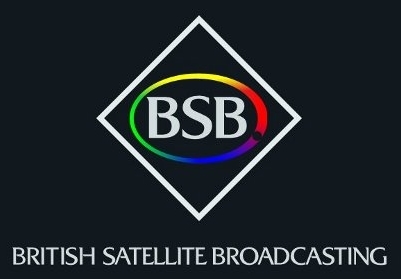 BSB - British Satellite Broadcasting Logo. The Marcopolo satellite & footprint. The greatest show on Galaxy ad. Delta II Launch Vehicle diagram. 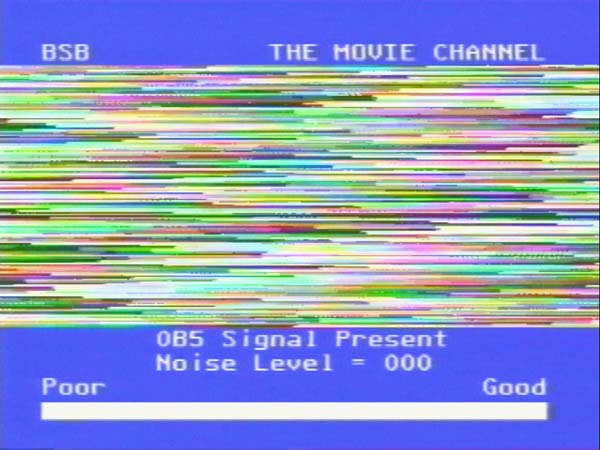 BSB Signal level on the Movie Channel. The Movie Channel Test Card. The Power Station Test Card. 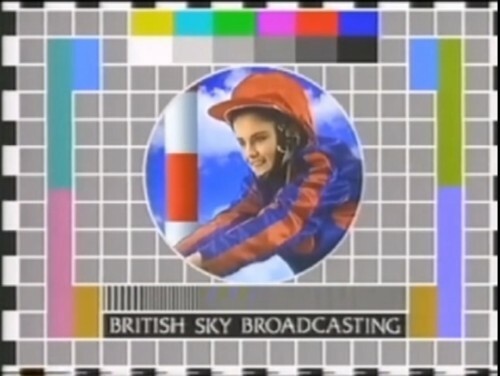 British Sky Broadcasting Test Card. 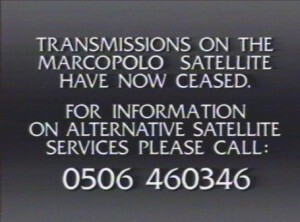 Transmissions on the Marcopolo satellite have now ceased.